If you’re in need of a great deal on Laundry detergent then I have a fabulous deal for you at CVS! 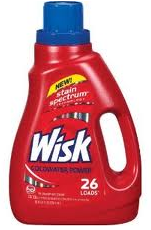 There is a new $2/1 Wisk coupon here then, check out the CVS deal below! This entry was posted in CVS and tagged CVS, deal, RP by AustinCouponing.com. Bookmark the permalink.